I'm excited about this years Tony Awards. The 2016 awards show, which acknowledges excellence in the theatre, will be presented at 8pm on CBS and the show will run 3 hours. The Tony Awards will be aired live form New York City's Beacon Theatre. Late night talk show host James Corden will be the host of the show this year. Mr. Corden is a British actor who won a Tony Award, Outer Critics Circle Award and a Drama Desk Award in 2012 for his role in One Man, Two Guvnors. He also played in The History Boys play in 2006. Both shows played in London and then New York afterwards. The 2016 Tony Awards will be presented by many recognizable stars form stage, screen and television. They include Josh Groban, Christian Borle, Bebe Neuwirth, Chita Rivera, Andrew Lloyd Webber, Cate Blanchett, Claire Danes, Carole King, Nathan Lane, Barbra Streisand, Oprah Winfrey and so many others in the entertainment industry. Highlighting the evening will be performances by Tony Award nominated shows in the Best Musical and Best Revival categories. These shows include Shuffle Along, School of Rock, She Loves Me, The Color Purple, Fiddler On The Roof, Waitress, Bright Star, Spring Awakening (this show closed already) and this years blockbuster hit musical- Hamilton. One of my favorite shows this season is On Your Feet, the terrific musical of the life and careers of Gloria and Emilio Estefan. Unfortunately the Tony Awards nominating committee didn't nominate this show in the Best Musical category but I just heard that Gloria Estefan and the cast of On Your Feet will be performing a song form this exciting new musical. I've been watching the Tony awards telecast every year, ever since I began my career in Broadway Show ticket sales over 39 years ago. 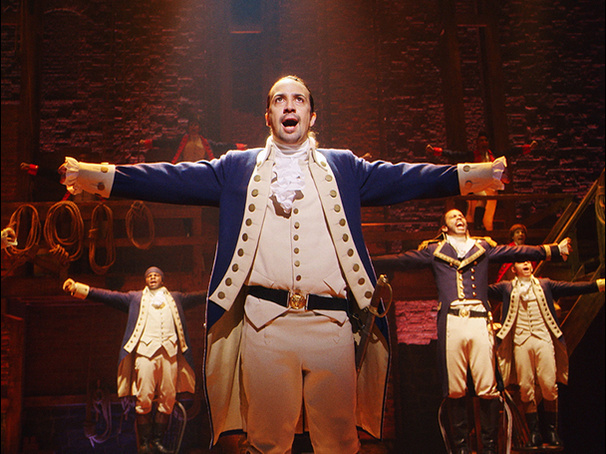 Broadway has had two excellent seasons in a row with so many amazing productions to see. If you want to discuss possibly attending a performance or two of one of the great Broadway shows playing, kindly consider a call to my team and I at Applause-Tickets. Cheers and best wishes to the incredibly talented cast and creative teams at each and every Broadway show. I hope you enjoyed this blog post on the 2016 Tony Awards show.